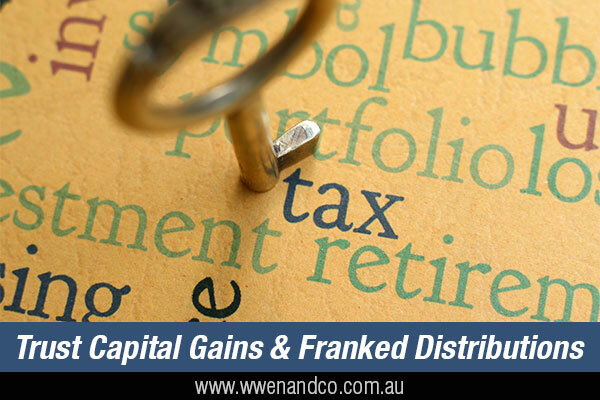 This information is for trustees and beneficiaries of trusts that make capital gains or received franked distributions. When can a trustee stream capital gains or franked distributions? If not prevented by the trust deed, a trust’s capital gain can be streamed to beneficiaries for tax purposes (even if they don’t have a present entitlement to trust income) by making them specifically entitled to the capital gain. A trustee has until two months after the end of the income year to make a beneficiary specifically entitled to a capital gain (ordinarily, this is August 31). Note: To avoid double taxation of trust capital gains and franked distributions, there are specific rules that may be required to apply.